Thanks for your gift certificate purchase! Feel free to bookmark this page to print your certificate at a later date if needed. Certificates are valid for two years from the purchase date. Click to view the tour waiver. Please consider sharing the information below with the gift recipient or print out if you are giving the certificate as a gift. You can call or e-mail to redeem a certificate but the easiest way is to use our online system (Buy Tickets) using the gift certificate code (this applies to all certificates purchased November 16th 2015 and after). Our Saturday tours often sell out several weeks in advance so if you are planning on using a certificate, plan ahead, we will do our best to accommodate our guests. If you need to reschedule your tour date please let us know as soon as possible. We are unable to refund within 48 hours of the tour start time. We operate our tours year round. Pitchers and Pizza (4 great pizza spots paired with samples of Ohio beer) runs every other Sunday. Our Walking Tour of the Brewery District runs from April to November every on Saturdays. 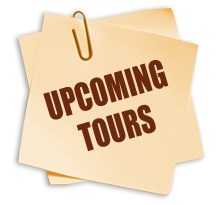 We post and update our schedules quarterly and add new specialty tours by the season. Please let us know if guests have any dietary restrictions or special needs. Please let me know if you have any questions or if I can assist you further.